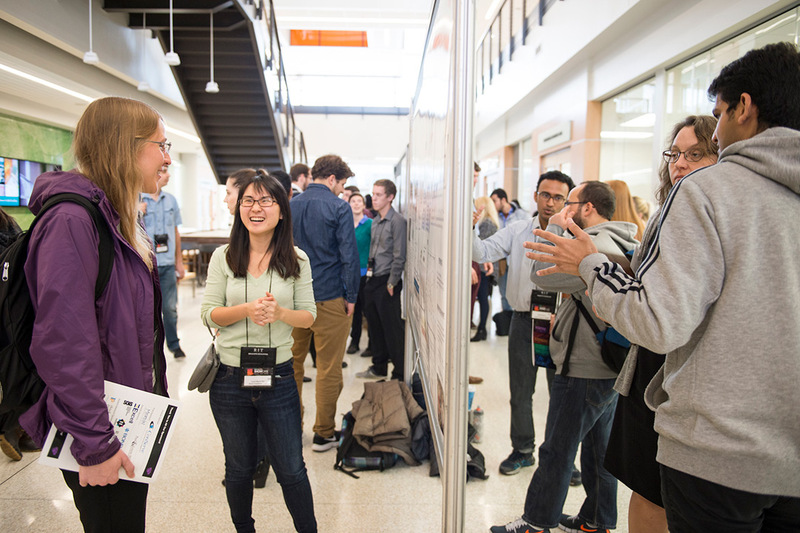 More than 100 master’s and Ph.D. students presented at the Graduate Showcase in November. An RIT professor is leading research on the efficacy of traditional admissions metrics for physics Ph.D. programs. The study was funded in part by the NSF INCLUDES Alliance: IGEN (HRD-1834516) and the NSF’s Innovations in Graduate Education program (DGE-1806705). Other researchers who contributed to the study include Benjamin M. Zwickl, assistant professor of physics at RIT; Julie R. Posselt, assistant professor of higher education in the USC Rossier School of Education; Rachel Silvestrini, associate professor of industrial and systems engineering at RIT; and Theodore Hodapp, director of education at the American Physical Society.